NUNM is located just south of downtown Portland. Our campus is easily accessible from Interstate 5. 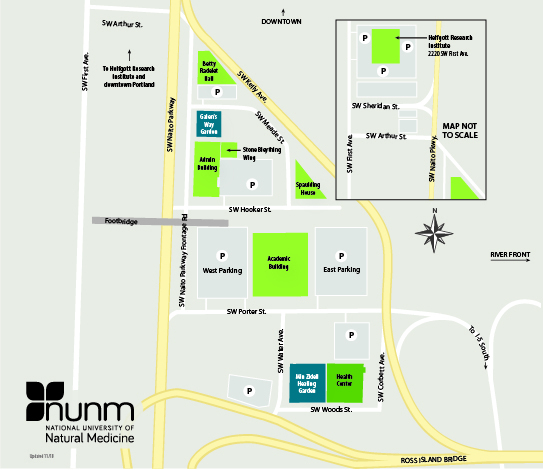 There are many ways to reach the NUNM campus by bicycle. Here are some bike trip options. Tri-Met has a great trip planner. If you are taking Tri-Met, buses 14, 35, 36, 38, 45, 54, 55, 56 and 92 pass near the school. Our administration building houses most administrative staff, faculty offices and the counseling center.